Teena picked up "Toronto Book of Everything" from the library for herself, and seeing as though I had given up on my other book early, had nothing to read. I wanted to read this one but was going to wait until Teena was done with it. Luckily, Teena was still in the middle of a book, so I had this one to read. 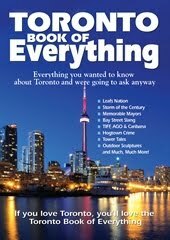 From Hogtown to capital city and Leafs Nation, from cold wet winters to desperately humid summers, from Blackberry-addicted Bay Street financiers to profiles of Ed Mirvish, Glenn Gould, David Cronenberg and Rush, no book is more comprehensive than the Toronto Book of Everything. No book is more fun! Well-known Torontonians weigh in on what they love about their city. Linda Leatherdale reveals her top five places to power lunch; Chef Jamie Kennedy shares five ways Toronto inspires his menus; Paul Godfrey tells us who the top Toronto powerbrokers are; John Sewell points out five Toronto buildings not to miss; and Kevin O’Leary shares his uniquely Toronto innovations. From Bay Street slang and the Great Toronto Fire to immigrant city and Pride Toronto, it’s all here! 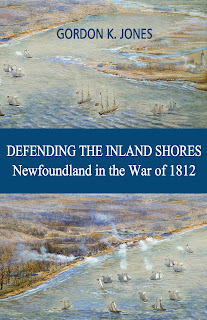 It is an enjoyable and interesting read. For anyone living in Toronto, or who is looking to visit Toronto, this is a must read. It does have some boring statistics, and some information is repeated, as it was done as a story of it's own, then included in a time line, but overall an enjoyable read. Personally, I could have done without all notes on Olivia Chow, former Toronto City Councillor, and regrettably now a member of Federal Parliament. The author is obviously a fan of hers. She is mentioned more than twice, and held up as an activist and defender of civil rights, instead as the cop hater, and defender of the criminal element that she was and is. It is a quick read and one that I totally recommend.